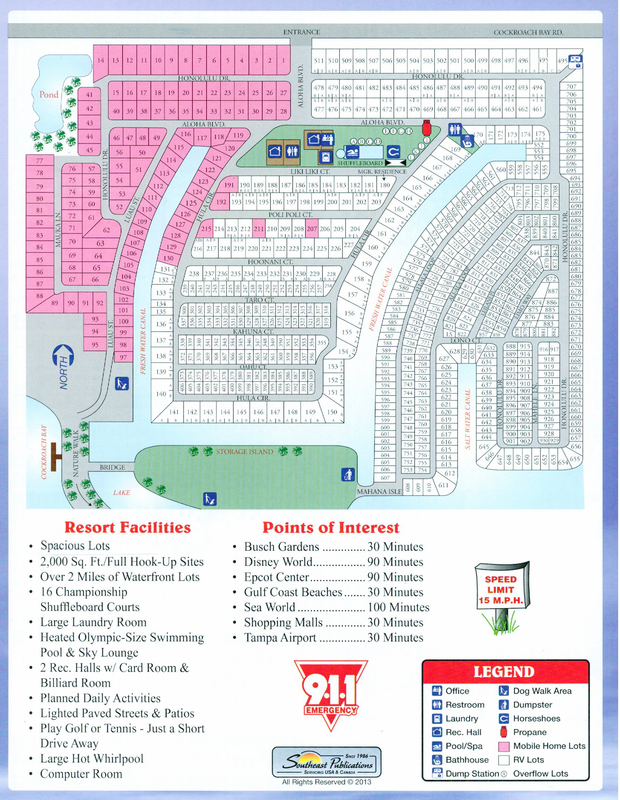 Hawaiian Isles RV Resort is located in the beautiful land of sunshine in the center of Florida's Sun Coast. We're conveniently near the world-famous resorts of Walt Disney World and Busch Gardens. The sunny Gulf Beaches, Downtown Tampa's Stadiums and Restaurants are all a short drive away from Hawaiian Isles.